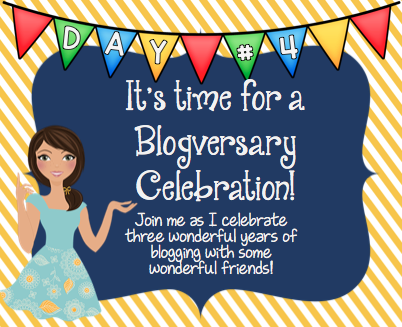 It's the fourth day of my blogversary celebration and I'm having such fun celebrating with each of you! I hope that you are finding tons of wonderful resources as you browse the daily prizes. I know I've already stocked up on some of these for the back to school season, which is quickly approaching! Speaking of which, today's giveaway prize pack has so many prizes that I couldn't fit them all in one picture. 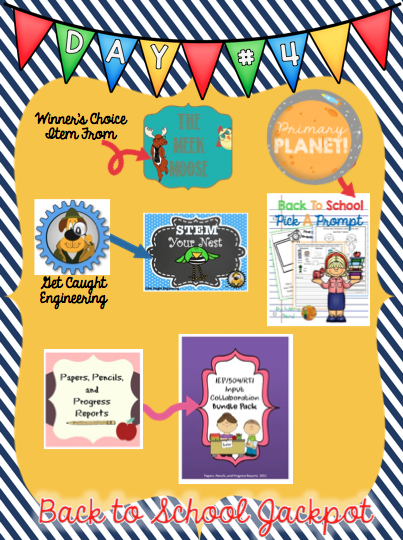 It is truly a back to school jackpot in that it includes FABULOUS resources that will start your year off on the right foot! 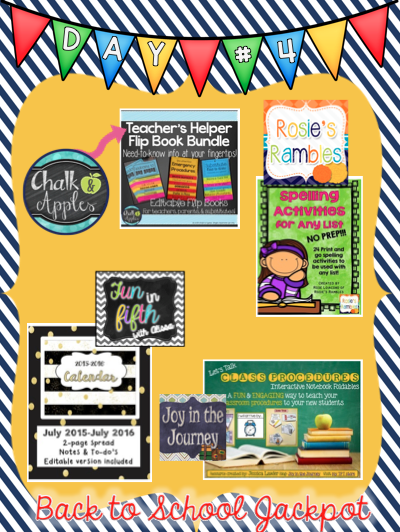 There's an editable flip book, spelling activities for any list, an adorable calendar, interactive foldables that tackle classroom procedures, back to school writing prompts, a fun STEM activity, an IEP/504/RTI input & collaboration pack, and a winner's choice item from a store with tons of goodies! If you win this one, you'll be more than ready to get this wonderful year started! I LOVE Friday dress down days. I have TONS of super cute t-shirts with witty sayings on them and I'm always adding more to my collection. 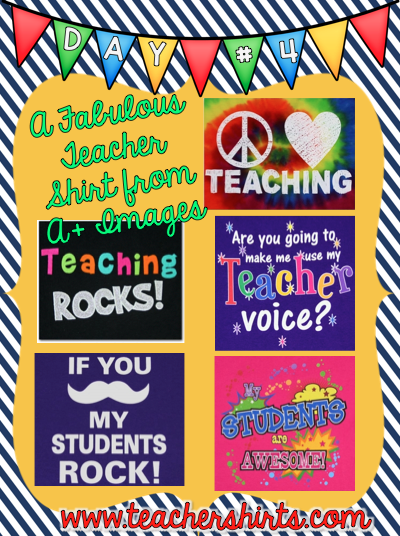 My go-to place for teacher t-shirts is easy to remember because it's called Teacher Shirts and it's by A+ images! It can't get any easier than that! I am constantly checking their site for new designs and they just added some pretty fabulous t-shirts! They have a wide range for many different positions and grade levels and lucky you, I've got a giveaway for one lucky person to win one of these fabulous shirts! The winner can choose any one shirt from their site, up to a $25.00 value. You'll be even more excited for dress down day with one of these adorable shirts! Here's just a few of the designs you will have to choose from and the link if you'd like to see more! I've got one more day of celebration coming your way tomorrow! Don't forget to check out the giveaways that are still open for entry in days #1-#3 as well!